After the 44-16 beatdown of Alabama in the National Championship game, Clemson was quickly moved to the favorite for the 2020 title. 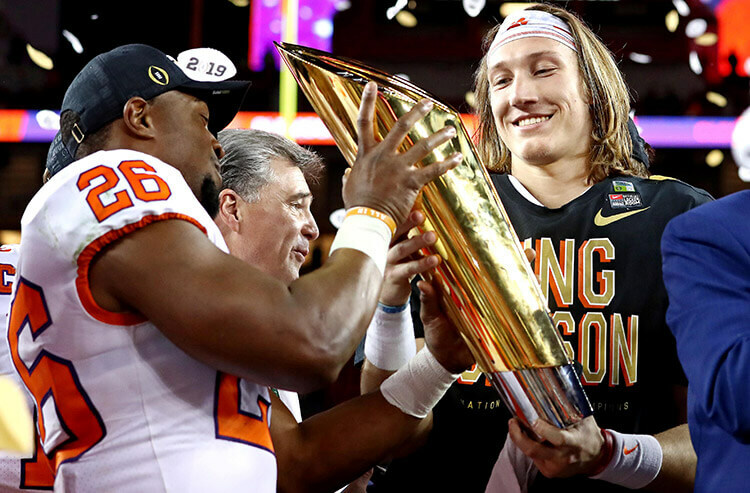 Clemson completely dominated Alabama 44-16 as 5-point underdogs in the CFP national championship game behind an outstanding performance from true-freshman quarterback Trevor Lawrence and as a result, the Tigers have supplanted the Crimson Tide as the favorites to repeat as national champions. 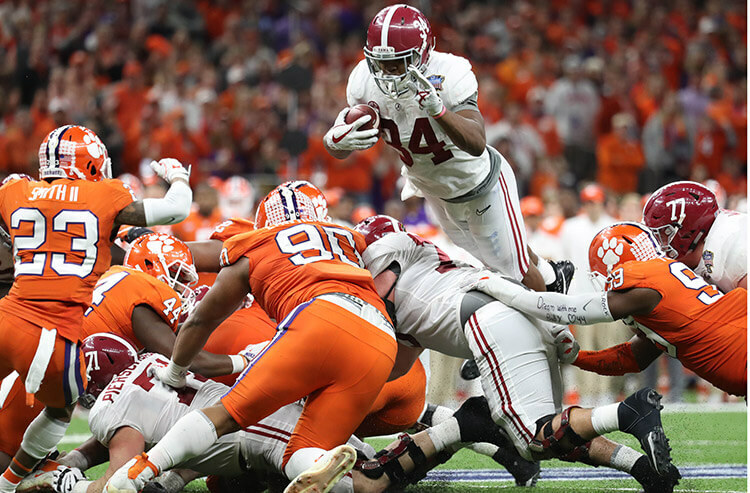 The Superbook at Westgate opened its 2020 college football championship odds during Monday night’s title game with Alabama as the 3/2 favorite with Clemson close behind at 7/2. But after the beatdown the Tigers put on the Tide in the title game, the Superbook quickly moved the odds, making Clemson the 9/5 favorite to win next year's game at Mercedez-Benz Superdome in New Orleans, ahead of Bama at 5/2. And behind those two, no one else is even really that close. No other program has single digit odds, with the next closest challengers being Ohio State and Georgia at 12/1, followed by Michigan at 14/1 and Oklahoma at 15/1. Some other interesting contenders are Texas at 20/1, Notre Dame and Nebraska at 25/1 and Oregon at 30/1. 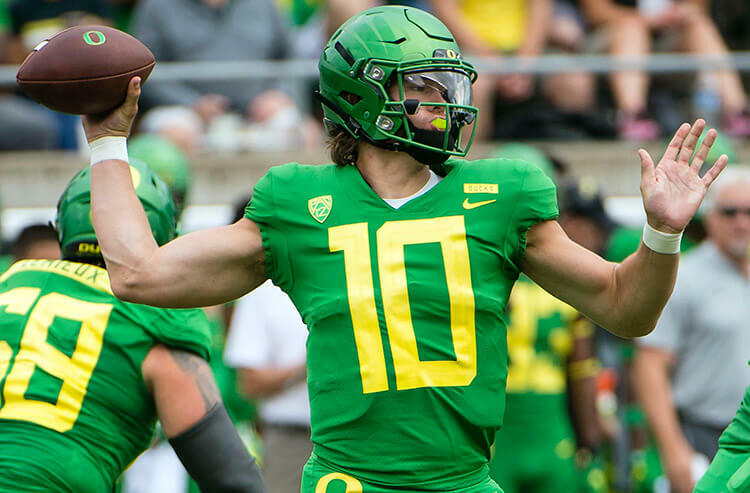 Here are the Top 25 college football teams heading into next season according to their odds to win the 2020 national championship. 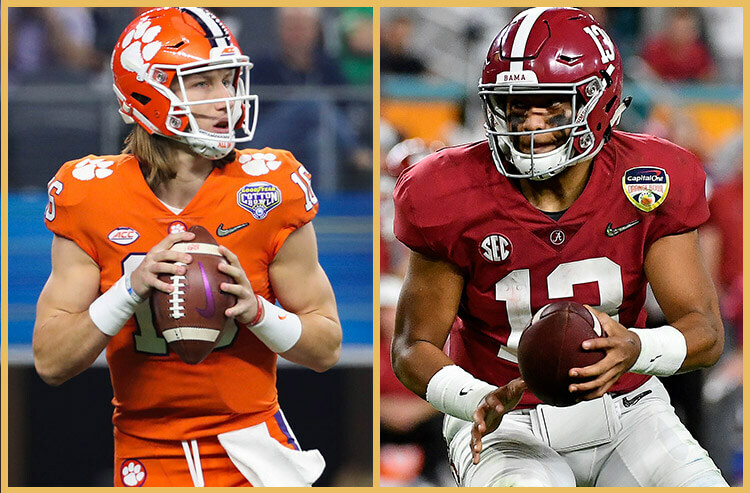 Clemson vs Alabama Predictions & Picks: Can Tigers get revenge against Tide?